Posted on July 11, 2017 at 7:07 am. Real estate insiders say Vietnam is attracting a lot of interest from international casino operators, who have their sights on a market boom when Vietnam’s gambling laws come into effect. Earlier this year it was announced that Vietnam would be changing its gambling policy to allow Vietnamese nationals to gamble at the country’s casinos, provided they met certain income requirements. Under the 50-page government decree issued on 15th March 2017, Vietnamese citizens will be able to enter local casinos, provided they are over 21 years of age and make a monthly income of at least VND10 million (US$43). They will also be required to pay for either a 24-hour casino pass or a month-long casino pass. 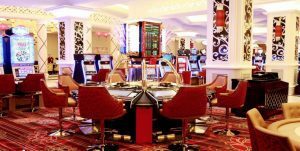 Despite the changes to the laws, which previously banned Vietnamese citizens from gambling at Vietnamese casinos, no casino has yet been authorised to accept Vietnamese players. There are multiple new casino developments underway in Vietnam, with many casino operators hoping to be part of the pilot program, which will run for three years before the government decides whether to continue allowing locals to gamble. The report recognises Ho Tam, Phu Quoc, Da Nang and Hoi An as destinations likely to benefit from casino operations in the years ahead. Operations are already underway to develop the Ho Tam Grand hotel into an integrated resort complete with casino facilities, with construction of the casino expected to begin towards the end of the year.